One of Arbonne’s top selling product lines, is out nutrition line. Our 30 Days to Healthy Living programme helps thousands of people each year get healthy! We believe we are passing on life-changing wellness principles with this programme. Overall health; the energy to keep up with your day; the confidence that comes with “feeling good”, is what this plan is all about. We have so many success stories of people losing weight, having so much more energy, improving their digestion and getting their health back on track. This is what keeps us going long after the first 30 Days and what motivates us to keep sharing with others what we do! What makes the 30 Days to Healthy Living plan revolutionary is the exceptional nutrition products paired with whole foods and the people (coaches) who support you through your journey to ensure success. We have a Facebook support group that starts on the 1st and 3rd Monday of each month so that we’re not alone. We help others by passing it on which keeps us on track to reach our long term health goals, and allows us to help more and more people like you. People who want to improve their health and lose weight in a sustainable way. People experiencing fatigue, brain fog, poor sleep, poor digestion, weight challenges, inflammation, skin issues. • A 30-day whole foods clean eating program. • A system to equip people with the tools and knowledge to implement life-long health. • A rest for the key elimination organs, specifically the liver and kidneys, so they can function optimally. • An elimination program to help to uncover food sensitivities. • A weight loss jumpstart. What do we do on the programme? The programme includes three simple steps that we outline for you. Eliminate the most allergenic/toxic/addictive ingredients from your diet, such as sugar and processed food. Listen to/watch weekly live or recorded calls that explain the program. You can join our private Facebook group for daily posts coordinated to educate, inform, encourage and inspire. What you and your clients can expect? 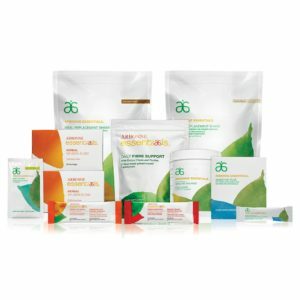 You need to buy the 30 Days to Healthy Living Arbonne Special Value Pack. This pack includes 9 different products that will help you be successful during the 30 Days. You will normally experience the real benefits of this after 3-5 days. Women can expect to lose 7-10lbs. Men can expect to lose 10-15lbs. Here’s some more information on the programme and the key elements of the plan. Feel free to share these with people who want to know more! Why Should I incorporate Arbonne 30 Days to Healthy into my business? How can I best share the information with my prospective clients? Step 1 is do the plan yourself! You will not be able to encourage anyone else to get on the plan, if you haven’t done it. Once you have done it yourself, you can speak passionately about it, and share your results! Share your journey and your results in conversation and on social media! People will take notice. Let people know when the next plan is coming up! This is a short 3 min overview with the benefits of the plan. When people say “I’d like more info”, I’ll say – “if I was to send you a short 3 minute overview of the benefits of the plan, would you watch it, and I’ll follow up with you X” (and I agree the follow up ASAP). Then I follow up when I say I will. If they’re looking for more validation – you can offer to add them to the 30 Days Info FB Group, and tag them on a short video or 2 of testimonials. Support your clients on the plan, they’ll feel more encouraged, more motivated ans they will get better results if you stick close to them and keep them on track!